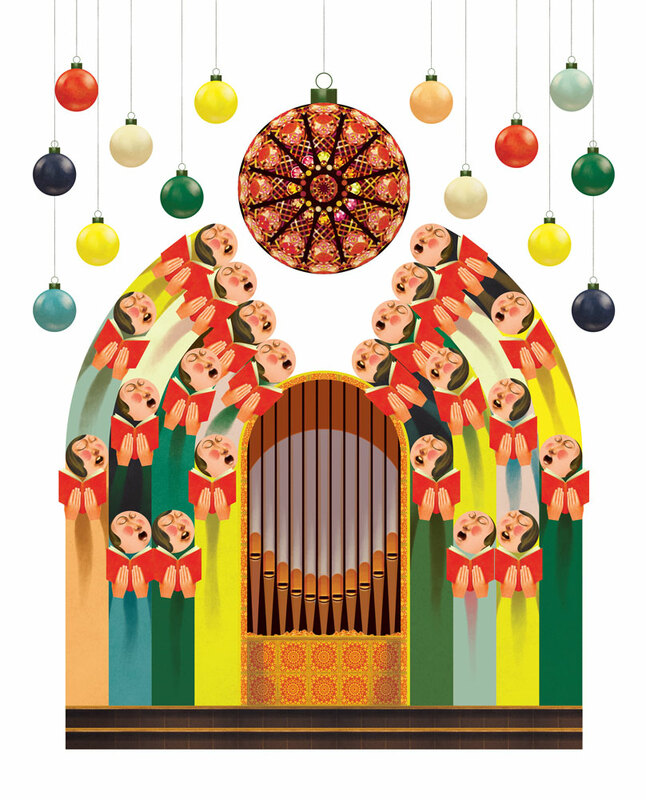 Here’s a fabulous new holiday illustration by GONCALO VIANA for EGEAC for their Lisbon Christmas concerts calendar. EGEAC (Empresa de Gestão de Equipamentos e Animação Cultural de Lisboa) is responsible for the management and programming of various spaces and cultural events within the city, and its main objective is to provide a wide range of cultural events and activities for the various public spaces in the city. These concerts are held every Christmas in various Lisbon churches consisting mostly of choral music.